Hundreds of people were injured and at least two died after a strong 6.1-magnitude earthquake hit western Iran near the border with Iraq. 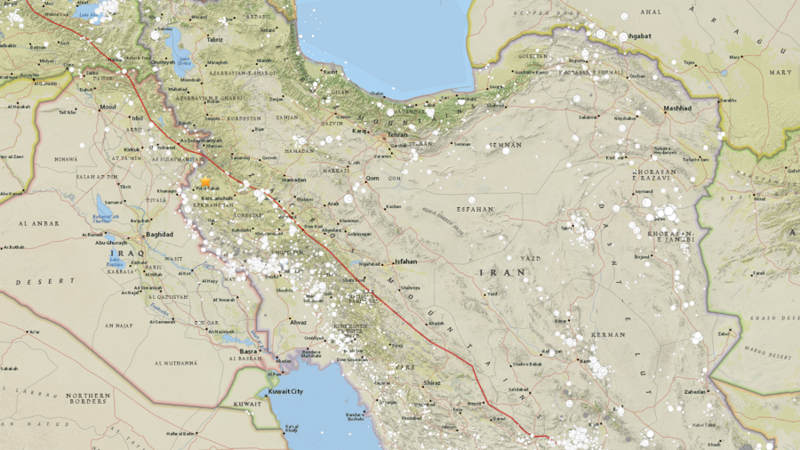 The quake struck 31 kilometers from Javanrud in Kermanshah province at a depth of 10 kilometers, reports USGS. There were no immediate reports of major damage, but the huge jolt was reported to have hit the Iraqi capital Baghdad. A number of people suffered injuries in the quake and were hospitalized in Javanrud, press TV reports. Untested photos of the episodes were leaked on social media, although witnesses warned that some of them might have been taken during the deadly earthquake last year. The same border area was shattered by a devastating earthquake last November, more than 600 people were killed and hundreds suffered injuries in Iran and Iraq.